Discussion in 'General breed discussions & FAQ' started by BarredCometLaced, Jul 15, 2011. 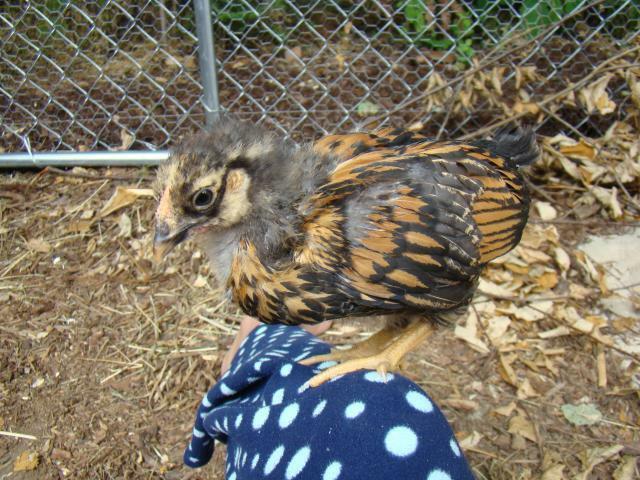 Heres to all the people who have the wonderful golden laced wyandottes! So go ahead post pictures of before and after or whenever I will go first. This is Lacey, my 2 week old GLW. We are not sure of her gender yet, though. 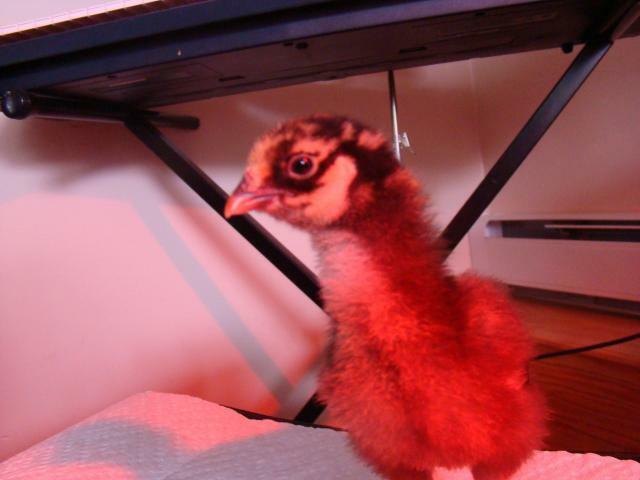 This was taken a couple of days ago, and now her tail feathers are coming out and her color is coming in. 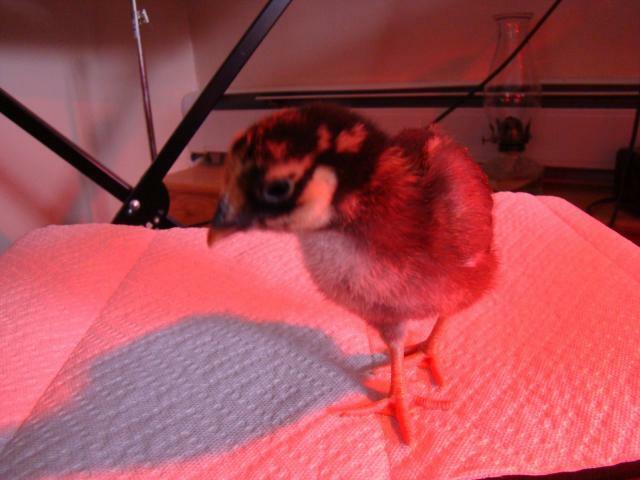 I'd love to see how your chicks are doing and how they turned out as hens or roosters! Hi! Right now I'm bidding on some eggs on Ebay for GLW! I will be watching this thread. Most of the chickens I have are black and white and some red. I want to try my new incubator and some pretty colored chickens and these seem to fit the bill! Good luck with the getting the chicks! Quote:Thanks for sharing.. are your Golden laced W. Based on Dominant white or Splash? I believe they are based on splash The one pictured below is the first in our flock... but i', already a fan! I can't believe he's already six weeks old! Ordered he and his friends from Cackle. So far so good other than one little GLW that developed a severely crooked beak and has to be culled. He's a real character. Flies to my arm, back, shoulder...whatever is handiest to him! !